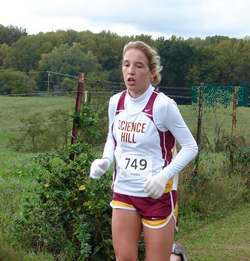 Chris McElroy of Dobyns-Bennett High School and Molly Foster of Science Hill High School have been named this area's Outstanding High School Runners by the State of Franklin Track Club. They will be honored at the club's annual Awards Banquet at The Red Room in Blountville on Saturday, December 4th at 6:30 p.m. The annual event also honors the winners in the SFTC King & Queen of the Road Competition, the Long Distance Series, Kids' Festival of Miles and Outstanding SFTCers. 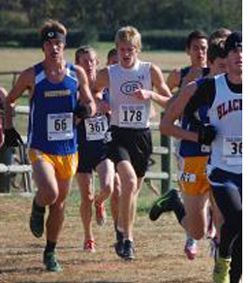 McElroy, a junior, was first at the TC / Twilight Two Championships and was both Big 8 and Region 1 Champion. Coached by Bob Bingham, McElroy placed 10th at the Tennessee state cross country championships as well as dominating area 1600 meter competition during track season. Both were All Big 8 Conference, All Region and All State in cross country.